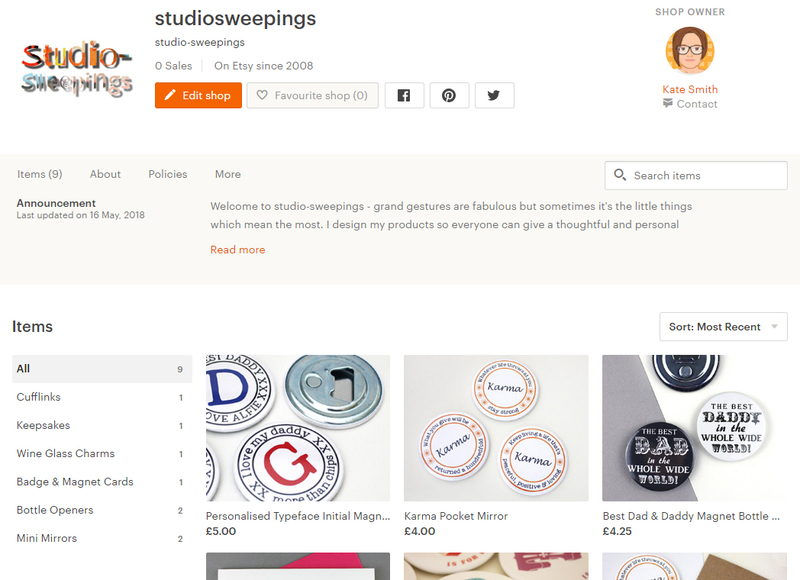 studio-sweepings: Etsy Shop has products - #abouttime! Etsy Shop has products - #abouttime! Well I've finally uploaded some lovely things on my etsy shop. I'm a little embarrassed about how long it's taken. I joined Etsy in 2008 as a buyer & set the shop up many years ago when studio-sweepings was just a twinkle in my eye. In 2011 when I started selling on noths I was busy, busy, busy and just didn't get round to it. I have a few products on now and will be uploading more over the next few days and weeks - old favourites and some new, just for etsy products too! - so watch this space.